Fuses are safety devices used in an electric plug or circuit, made of a wire components inserted in a non-combustible housing. 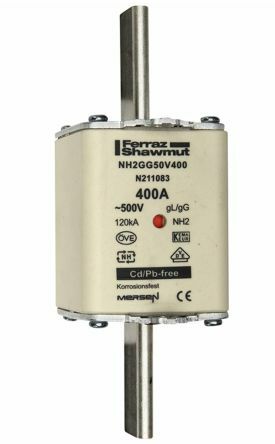 Their function is to prevent the damages induced by an overflow of electrical current, by overheating and melting the wire inserted in the housing whenever there is a fault, consequently interrupting the electrical flow. What are fuses used for? An everyday example of fuses applications is represented by hairdryers: when the power flowing in the appliance exceeds the value that should be transferred through it, the fuse within the system makes the circuit break, so that it cannot work anymore thus eliminating the risk of short cuts and electrocution. Fuses are also an essential of every household's electrical system, in form of control board panels (also called fuse boxes or consumer units) which shut the electrical system down in case an over-current that might cause damage is detected. Fuses and circuit breakers cover the same safety function in an electrical circuit when there is a risk for over-current. They both interrupt the electrical flow when a fault is detected, but while fuses only work once and have thus to be replaced, circuit breakers can be reset without the need for their substitution. Cartridge fuses can come in form of glass fuses, as well as ceramic or porcelain on the outside which facilitate the conductive power, and a magnetic wire in low resistance metal such as copper, silver, aluminium or zinc within. They are relatively easy to change and come in different standard ratings you can choose from. To select the right rating for the application of interest, the rule of thumb is to select a rating which is slightly higher than the one needed by the device to function. This will allow for the fuse to prevent damage when the voltage gets too high, without the need for switching off the electrical power in conditions of slight, harmless, power enhancement. Fuses are also available in kits to cover various uses beyond industrial appliances, such as the fuse kits available from RS Pro range. 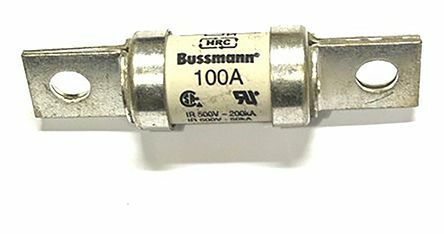 Professional range of Cooper Bussmann fuses from the FWH series. 6 x 32mmCeramicMounting Style - StudTermination Style - Bolt Down.